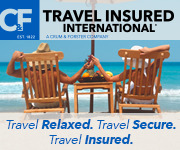 At your request, Costa Rica Escapes can organize and purchase airline tickets on your behalf. Contact us for more information on how we can make these arrangements for you. A variety of airlines travel internationally to and from Costa Rica from the United States and from countries around the world. There are two International Airports within Costa Rican—San Jose International Airport (SJO) and Liberia International Airport (LIR). Refer to the Costa Rica Escapes Itineraries for information regarding the best airport to use on your trip to Costa Rica. Travelers with a tourist visa may not stay more than 90 days in Costa Rica. Tourist visas to Costa Rica are only good for 90 days. If you stay over 90 days in Costa Rica you may be denied entry into Costa Rica on future visits.